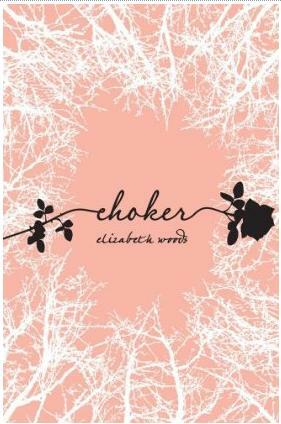 I am currently reading Waterfall by Lisa T. Bergren and Choker by Elizabeth Woods. I started Choker because it was next on my TBR from the library and I've heard such great things about it. I have to admit, the cover really caught my attention. I know very little about the plot, so I'm curious to see what will happen. It does seem like a darker story though, so I picked up Waterfall tonight for some lighter reading. I don't think you can go wrong with time travel, knights, and Italian hotties! Miss something on Small Review? Read the Recap to see what happened this week. 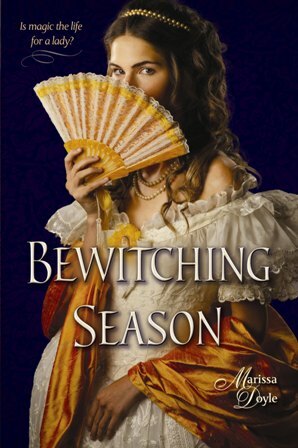 The picture to the right comes from my Spotlight List: Historical Fiction with Magic! Haha!! Agreed! I don't want to read something too dark late at night over here either. Every noise I hear in the house will make me think it's the monster from the book. And hehe thanks for liking my layout, I literally barked with laughter at your comment hah!! 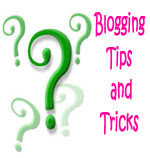 Hopping by from the blogger hop! 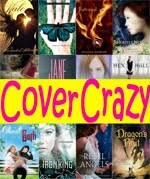 Interesting picks, I heard a little about choker but having picked it up yet, like to read what u think of it. Great blog, am now a follower, looking forward to future post! I've never heard about Waterfall, but I'm interested in seeing what you think of it. Travel, knights, and Italian hotties sound good to me! Lol. Oh, I really want to get my hands on a copy of CHOKER. I'm looking forward to reading it! Happy Friday! Choker does sound really good and I've getting very tempted to go out and buy it. Looking foward to your reviews on these. 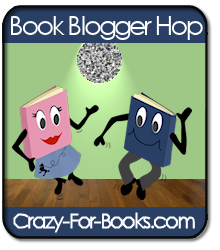 Just hopping by from the blog hop. 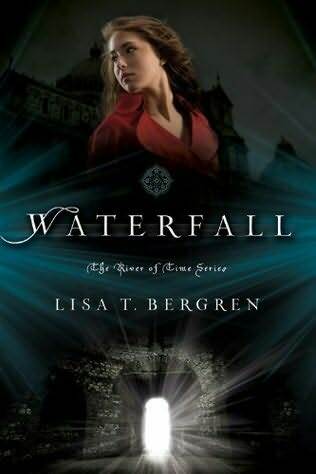 I haven't heard of Waterfall, but I so wwant to read it from the look of that cover. I don't know too much about Waterfall, but it looks really good! I'm going to have to give that one a shot. I'm glad I was hopping by! Hopping through. I've heard good things about Choker too. I hope you like it! Lazy Girl, Hehe I’m a huge wimp! Lately I’ve been dreaming really vividly, so I really don’t want the Big Bads coming into my dreams! :P Glad you liked my comment! I’m obsessed with the pink and pretty. Sniffly Kitty, I didn’t realize either until I got the book. I’m a little wary, but so far so good. 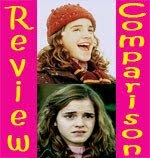 I’ll be making mention of how the Christian elements affect/don’t affect the story in my review. Angelic Nytmare, Nevermore by Gaiman? I can totally see that being creepy. I haven’t read that one, but he’s an author who knows how to write creepy things for sure. Both of your picks look great. I can't wait to see what you think of "Choker"! hopping thru: wild you got two good novels. I've read reviews on both of those and each were good. I was excited about Choker, mainly because of the beautiful cover, but have read some iffy reviews, and now I'm thinking of skipping it. I'm eager to know what you think of it! Avery, Will let you know hopefully soon! Sidne, Good to hear! Thanks! Madigan, I'm a little wary about the negative reviews too, but I'm more curious to find out what the book is about. Guess I'll find out if that curiosity leads me somewhere good or bad! I have CHOKER on my Kindle and am looking forward to it. It does have a nice cover. I've never heard of Choker. Guessing by the cover I assume it's not a slasher type of book. lol. The cover is actually quite cute. Just stopping by to share some Friday blog love! Hope you have a great weekend! Choker sounds good, hope you like it! I'm splitting my time between several books, and just finished The Iron King which I liked a lot more than I thought! Hi! Just stopping by from the blog hop. Waterfall looks really good-um, hot Italian men!! !-need I say more. lol. Just hopping by. How are you finding Choker? I've heard some good things about it. I'll have to check out Choker. Cover IS intriguing. Kay, The cover is very pretty. I think it looks even nicer in person. Chelle, Hm, I’m not so sure about that! I’m on page 50 something and someone is dead! Tasha, Thanks for stopping by! Laura, Glad to hear you liked The Iron King! I was surprised at how much I liked it too. Danya, Haha, glad you could remedy it with at least one book. Caroline, Thanks for stopping by! I know right? Can you get any better than that combination? I don’t think so. Hannah, I’m enjoying it, sort of. I’m not sure if I’ve figured everything out already. If I have, then that’s kind of disappointing, but if the author has me fooled then that will be great. Alison, Thank you for following! I hope you enjoy your time here. Hi, I'm from blog hop and I love your header, it's so pink! I will definitely be trying Choker too. I'm your newest follower. I love the sound of Waterfall- time travel and knights? Totally my kind of book! I'll be looking out for your review. I agree about the cover of Thyme's End, it's very striking. I thought the same thing as you when I read the blurb but I figured it's good to try a book you might not normally pick up once in a while. Stephanie, I know right? Time travel and knights? I practically have to hold in the sqeee! Stopping through via the HOp! I've actually been a follower for some time and I thought it was about time I make my precense known! I really enjoy reading your reviews and posts! Thanks for hopping by and saying hi! I love "meeting" followers :) I'm so glad you're enjoying my blog!